Remember back when the university mail bot spammed our inbox, urging us to care about the University of California Undergraduate Experience Survey? Luring us in with cash prizes and free iTunes, they e-mailed us furiously until we were numbed by the false hope that we’d actually win something–if only if we took 20 minutes to answer the questionnaire. Well, we took their survey and didn’t get anything, except for a report detailing common campus knowledge. Nevertheless, we suppose having empirically-researched data to back up your gossip is like having mace in your pocket at 2 a.m. on Dwight Way. You’ll need it, eventually. Here’s a short ‘n sweet summary of the first four parts in the five-part UCUES results’ series. • Roots & Identity: This one is a snoozefest of demographic data–we basically have a good amount of rich kids and Asians on campus. “‘To discover what kind of person I really want to be’ is a ‘very important’ college goal” for 83% of soul-searching undergraduates. • School & Play: Finally, some easily digestible graphs! We are visually reminded that wealthy students attend class less than those from poorer families. We also find out that seniors read way less than freshmen, and nerds who get more sleep have a higher grade point average than the perpetual party hopper. • Unpacking ‘Diversity’: Students are capable of appreciating diversity in one-on-one situations. Too bad we can’t solve the larger social segregation problem. • Growing Convictions: We’re only going to mention one piece of data from this section–how you get your news. 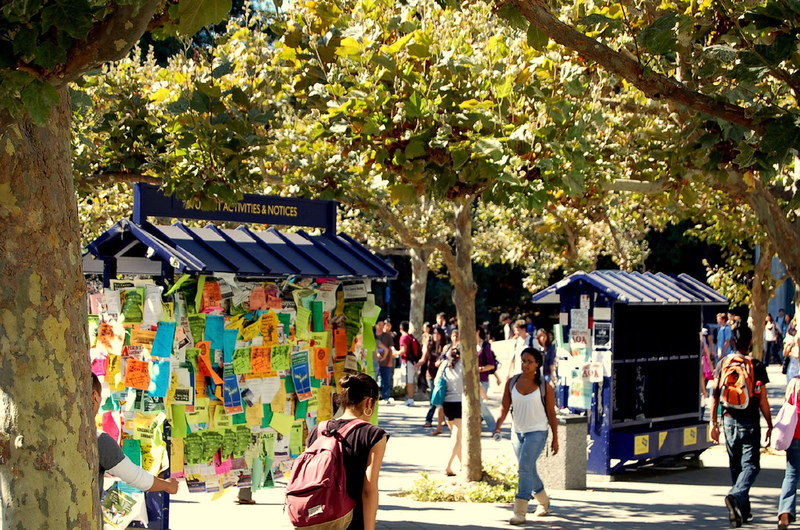 After the internet and the metropolitan newspaper of your choice–your go-to news source is The Daily Californian. Asked to identify their main source of news and public-affairs information, a solid majority (66%) chose the Internet, trailed at a great distance by a metropolitan daily newspaper (8%). Student journalists may be pleased to learn that The Daily Californian, at 7%, topped all the remaining choices of news source: national and local TV news, public radio, weekly news magazines, public TV, and talk radio (in order of most popular to least). Since we’re on the Internet and a part of The Daily Californian, does that make us extra special?